Celebrate the long weekend with this heavenly sweet menu. Get up close and personal with the greatest archaeological find of the 20th century. A celebration of NZ female recording artists. Prepare to be immersed in lavishness. Jardin Grill is back. After the tragic, temporary closure of Sofitel last year, anticipation was running high for its reopening — and not just for the five-star accommodation. 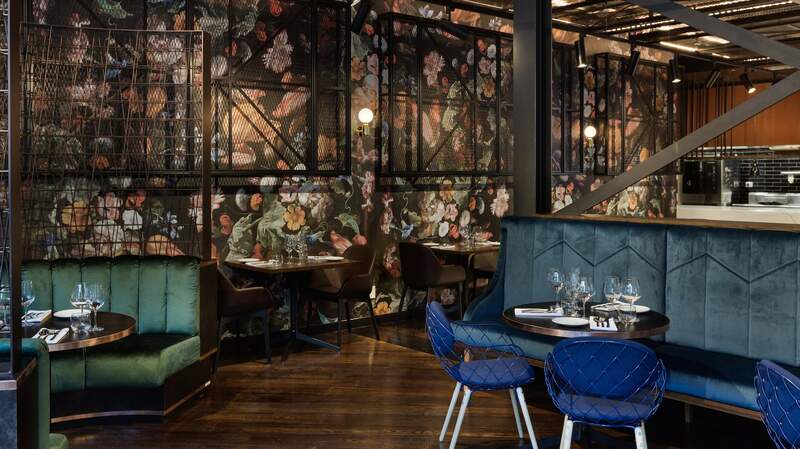 Jardin Grill is a sensory overload of lush luxury: the wafts of manuka wood fire rotisseries, the sight of fabulously decadent floral wallpaper and the sound of pouring New Zealand's finest wines. An upmarket yet intimate setting, with contemporary design infused with elements of Wellington's botanic beauty, prepare to be immersed in lavishness. After you've been sat and settled into your plush, velvet chair for the night, you'll be presented with a reasonably short menu that eliminates intimidation, but will have you playing tug-of-war with what to order. I recommend starting off with freshly shucked, plump Te Matuku oysters from Waiheke Island, most likely caught that day, complemented with a tangy shallot vinaigrette ($27 for a dozen). Ask for the cocktail menu as you begin your four-course feast — I ordered a refreshing French 75 ($29). I suggest ordering your entree, main and dessert all at once, and if you're not confident in choosing the right drinks for each meal, ask your server for wine pairings. For our entrees, we ordered chargrilled Merino lamb ribs with a spicy yakiniku sauce ($21) and Atlantic scallops in a sauce verte with burnt chilli ($25). Tender and juicy, the lamb fell of the ribs and served the perfect balance of spice and mint. The scallops were buttery and succulent, and kept interesting with the kick of the chili. Our mains were something out of a dream, pepper-rubbed pork belly that had been rotating on the wood fire rotisserie for three hours ($34), and grilled venison loin with juniper salt, mushroom duxelles, and aged balsamic vinegar ($39). This is not an overreaction and I promise that I'm not dramatic, but when I crunched through the crackling case of the pork belly, a single tear rolled down my cheek. The pork was juicy and salty and balanced by sweet prunes. This was the best pork belly I've ever had. The venison was cooked to perfection and literally melted in my mouth, you could taste how fresh the meat was as it carried the distinct smoky flavour of the wood fire grill. Feel free to choose a couple of sides. We were served thick, roasted mushrooms with garlic and rosemary ($9), as well as a devilishly cheesy potato gratin that made me squeal with each bite ($10). It would have been irresponsible to not try the dessert, so out came a Bailey's and chocolate mousse with coffee gel and espresso ice cream ($18) and the signature Le Jardin du Printemps - the spring garden ($18). The mousse was dense yet fluffy, so much so that it melted into a sheet of silky smooth chocolate on your tongue. It was wonderfully matched with a classic vanilla bean ice cream and paper thin chocolate wafer that gives you a satisfying crunch. At Jardin Grill, you feast with your eyes before your stomach, and the stunning presentation of the food is unmatched. However, the spring garden creation takes the cake, or the sponge, I should say. Delicious lychee sponge-like morsels surrounded by perfect beautiful blobs of rose gel and a sprinkling of pistachio. Simply marvellous. These dishes were only so delicious because of the immense amount of care, passion, and love put into them by chef Roy. A well know icon on Wellington's gastronomy scene, Roy ensures that each ingredient is sustainably caught and is ethical — as Roy says, "Honesty is key." Many would say that Jardin Grill is a place for special occasions, an anniversary or perhaps a birthday, maybe because you went to the gym that day or because you got out of bed. Whatever the excuse, Jardin Grill is waiting for you.